Home-made pudding made by Caroline a few years ago. Steamed in the microwave for 4 minutes. 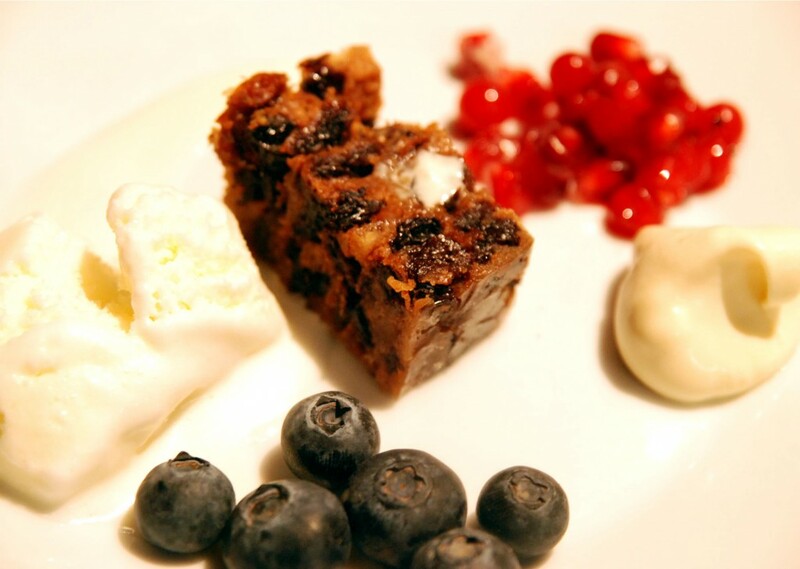 Served with brandy cream, ice cream, blueberries, redcurrants and pomegranate seeds.